The 8th Summit of ACP Heads of State and Government is the most representative event to be held in Papua New Guinea. 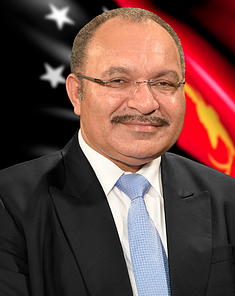 On behalf of our people, and our Government of, I welcome you all to Papua New Guinea. I hope your stay with us is both enjoyable and productive. Many of you are visiting Papua New Guinea for the first time, and I would like to give you some background and awareness of our nation – where it is today and where we will be tomorrow. Papua New Guinea has a rich and diverse culture, a land of 1,000 tribes. We have, within our borders, around one third of the world’s known languages – around 800 distinct languages. We have a robust Parliamentary democracy, with a single chamber of Parliament, elected by the people every five years. The next national elections with be held in twelve months time – like many of you, I enjoy election time and the chance to go out and spend more time with our people. Papua New Guinea is also a place that is changing. We are moving from a country of traditional, village-based communities, to become a modern economy in the space of one generation. We are now an agricultural producing nation with crops such as coffee, cocoa, copra, palm oil as well as forestry products and fisheries. Our country is also rich in mineral resources and we have become a significant producer and exporter of gold, copper and nickel. Oil and gas production has become a significant part of our economy over recent years, particularly LNG. This coming weekend we will load our 200th shipment of LNG, just over two years from the day when we loaded our first LNG shipment that went to Japan. We undertook our first LNG project, PNG-LNG, with ExxonMobil, and now we are about to begin the construction phase of the Papua LNG Project with TOTAL from France. This project will employ 13,000 workers around the country and dramatically expand our LNG exports. As we expand oil and gas production we will have a focus on meeting our domestic energy needs as well as downstream processing and bi-product development. As a resource exporting nation, the downturn in commodity prices has been challenging for our nation. But we have been steadfast in these trying times – reducing spending and undertaking reform in our public service. Our Government has made proud achievements in enhancing the living standards of our people, and expanding the opportunities they can embrace to participate more fully in the nation’s economic growth. Until a couple of years ago, parents had to pay a fee to the Government to send their children to school. In a nation when the vast majority of the people are subsistence farmers or small scale cash crop producers this was a significant burden. For years it impeded growth in school attendances, especially in rural areas. Our Government abolished school fees. In the space of a few years we doubled school attendance from one to two million students. In expanding this access to education we also created much greater opportunity for girls, whose families had struggled with paying school fees. We have also used the benefits of economic development to further improve basic wellbeing. We are delivering universal healthcare around the country that is free of any charge, this is especially important in rural centres. A further core policy our Government has implemented is to invest substantially in national infrastructure. This is primarily national economic infrastructure, and local infrastructure. This is infrastructure that helps rural and coastal communities lift agricultural production and improve communications. We are well underway with record spending on roads, on bridges, on ports, on airports, and on electricity supply. This program won’t just “grow” our economy, it will ensure greater economic participation by our people, and it will improve productivity. A further step we have taken is to focus on the growth of our Small to Medium Enterprise sectors. For too long the proportion of our private sector owned by the people of Papua New Guinea has been far too small. We believe the most efficient way to change that is to “grow” small and medium sized business and enterprise owned by Papua New Guineans. We have begun driving that growth through a 12-point plan that includes access to affordable finance, training and skilling, and targeting specific sectors for growth such as tourism and village based industries. I am confident the combination of these and other measures will deliver what is our goal – higher living standards and greater participation in the growth of our economy by our people, right across our nation. I want now to make some comment on the key issues we are to consider at this Summit, and on issues that I know impact on the ACP group generally. Firstly, in the area of climate change. Pacific Island nations have a number of issues in common with many countries in Africa and the Caribbean, but I think one of the greatest is our shared concern relating of climate change. This covers many areas and is beyond concern over rising sea levels alone. Papua New Guinea has also recently experienced our worst ever drought, while other parts of our nation experienced major flooding because of unusually high rainfall. Island nations in our region, such as Fiji and Vanuatu, have in the last couple of years experienced multiple devastating cyclones. In our region, long established climate patterns have undergone dramatic change…..often with disastrous consequences for coastal communities and inland areas alike. International progress on addressing climate change has been too slow. We must insist that the Paris Agreement of 2015 be fully implemented. We must demand the nations that are the main contributors to global warming reduce emissions to the greatest possible extent…..in the shortest possible time frame. I regret to say that when it comes to the role of women in our public life, in Papua New Guinea and in many countries in our community, we still have a lot of work to do. In our country we have embarked on programs designed to lift the participation of women in our economy, in the private sector and public life. Our record on women in business and enterprise is better than in public office, but it needs to grow much more significantly. We are implementing programs that specifically encourage economic participation by women, individually, and in groups and associations. Enhancing the role of women is inseparable from ensuring respect for women in society, and in individual communities. The challenge of reducing poverty is one of the overwhelming concerns faced by many ACP countries. It also means re-building and expanding agricultural production and focusing on the unique opportunity we in Papua New Guinea. The challenge is to not only meet our own food and nutritional needs, but to maximise the wonderful and unique opportunities we have to meet the food needs of the Asian region. The overall theme for this Summit – Repositioning the ACP Group to address the challenges of Sustainable Development – is highly relevant to Papua New Guinea and the Pacific Island nations. The theme is appropriately fitting to the aspirations of ACP Group in this era where economies are integrating under increased trade and investment, underpinned by globalisation, in every facet of development. The agenda of this meeting covers a wide range of very interesting items relating to the wellbeing of the peoples of ACP. I am sure that this Summit will provide the necessary direction for ACP Group in its endeavour to become an active player on the world stage, as well as in creating and establishing relations with other potential partners for the betterment of the Peoples of ACP. It is important to recall why ACP Group was established in 1972. Its vision then was premised on international cooperation, the cooperation emerging from the need to strengthen relations with former colonial powers and their help to establish ACP member countries as independent economic and political actors. Times have change and this vision in some ways is no longer relevant and or need refining to suit today’s needs. As one of the biggest international groupings, it is frustrating to see that ACP economic relations have not fundamentally changed and that the political significance of the ACP Group is still marginal. I strongly believe the ACP Group must rise to the occasion and be seen by its people and the world as an effective and relevant institution that has positive dynamics to make a difference to the lives of its people and the world at large. We hold one seventh of global population, meaning the ACP Group has a great responsibility to improve the lives of our peoples, and to promote poverty eradication and sustainable development. To institute change in our economies, the ACP Group must remain a cohesive force, take bold and decisive policy directions and be a relevant player on the international stage. We must streamline our programmes and activities, and concentrate on where we have comparative advantage so that it can have an added value. In light of the above, it is my firm view that ACP Group should focus on trade and investment, increase political dialogue and advocacy, and diversify development and international cooperation. We lack trade and investment vertically and horizontally within the Africa-Caribbean-Pacific region. The Group should seriously embark on greater intra-ACP cooperation among ACP member states, firstly starting within the six sub regions of the ACP. As we aspire for a sounder economic development, we should build our economies around trade and investment activities that are sustainable and inclusive in nature with diversified economic sectors with increased intra-trade and investment within the six sub regions of ACP. In concluding, if ACP is to be relevant and responsive to its members given the rapid rate of globalisation, it requires a major restructure in order to change its core business to one that is trade and investment oriented. As we know, multilateral forums such as the WTO, APEC and ASEAN have undertaken reforms to keep up to speed with trade and investment as new engines of global trade. For these reasons, many countries are teaming up into trading blocks and these re manifested in the establishment of Free Trade Agreement/Regional Trade Agreements in order for them to gain trade and investment market benefits. It is incumbent on ACP Leaders and stakeholders to start the conversation going forward or whether the Organisation remains as it is or undertake structural reforms to keep pace with the rapid globalizing trend. Your attendance at the 8th Summit of the ACP Leaders provides the necessary support and catalyst to propel the ACP Group beyond 2020. I wish you all every success in your deliberations and a pleasant stay here in Port Moresby.